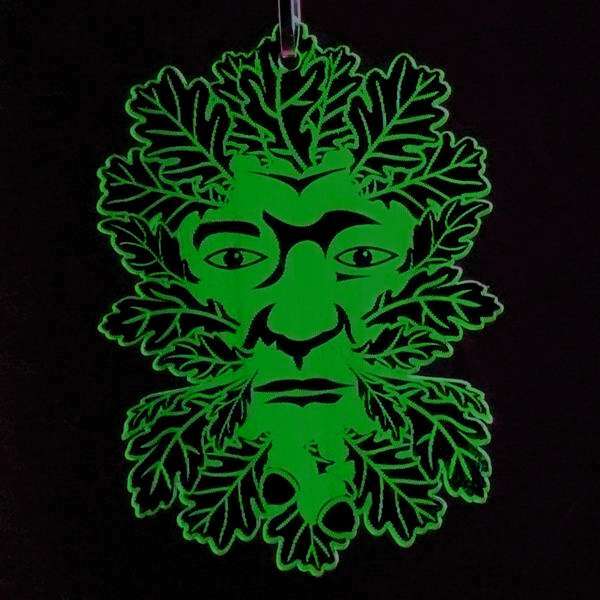 A hanging ornament featuring the ancient and mysterious Green Man. Engraved on dark green acrylic. 10cm tall.